Twenty hikers met on Sunday to welcome in Daylight Savings time and to do a meditation hike. 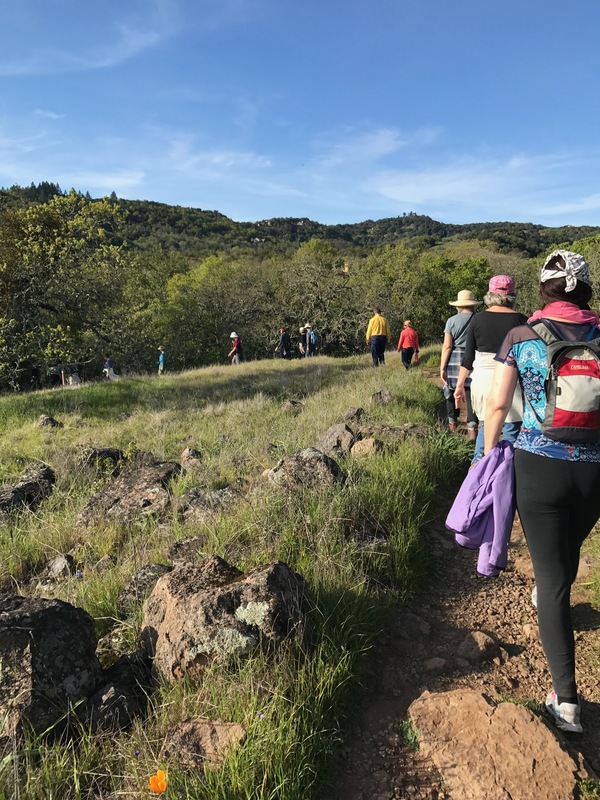 Jeff Falconer led the group in a silent hike to the top of the Overlook Trail where the mindful walkers enjoyed the sweeping view with a deep calm. If you’d like more information about enhancing your hikes with the discipline of meditation Jeff’s newly published booklet on Walking Meditation is available for purchase at Readers Books. Next time you hike, try combining awareness of your breath, your body in motion, and the natural surroundings for an enhanced experience!